Worldwide icon-chevron-right North America icon-chevron-right United States icon-chevron-right Illinois icon-chevron-right Chicago icon-chevron-right Day care, nanny or au pair? Day care, nanny or au pair? Nannies and au pairs can be expensive, but day care comes with its own set of issues. Whether your baby is still in utero or new to the world, the looming question for every working parent in Chicago is, What do I do about child care? We've gathered information on some of the more popular child-care options, including nannies, au pairs and day care, to help make your decision a little easier—at least until you have to start fretting about preschool. Most daycares require you drop off and pick up your child at a certain time every morning and evening. Kids spend their time playing together, learning new skills and eating meals. Pros Mingling with other children allows your kid to be exposed to a social setting and classroom-type environment. Cons Kids in day care tend to get sick more often, and the sickness usually spreads through the class. Once your kid gets sick, you have to keep him or her home. Day care offers less flexibility time-wise—many day cares charge fees for late pickups. Where to look Research what's in your neighborhood and do site visits. Friends who send their kids to day care can be a good resource, as well. When to look Because it can take a while for a spot in your child's age group to open up, many day cares require you to get on a waitlist even before your child is born. A nanny is a caregiver who comes to your house to take care of your child. Some nannies will take your kids to extracurricular activities, the park and even teach your child a new language. Pros The nanny is at your house so you can choose the hours, stock your fridge with healthy foods you want your child to eat, and eliminate any drop-off or pick-up issues. Most nannies will also help with some light housework like your child's laundry and sanitizing the playroom. Some will even run errands and cook. Cons This option tends to be one of the most expensive. Your child is also usually one-on-one with the nanny for the majority of the day with little social interaction with other kids. Where to look Many nannies post and respond to posts on the Neighborhood Parents Network message board (must be a member). Word of mouth, Facebook mom groups and websites like Sittercity are also good places to start your search. When to look Most nannies are looking for an immediate hire, so don't begin the search too early. Think about looking about a month before you go back to work (unless you want help during leave). A nanny is shared between two families (most often the kids are around the same age), and the nanny cares for both children at the same time (or some solo hours, some combined hours), usually splitting her time between the families' homes. A typical day involves the kids playing together, trips to the park or library, naps and meals. Average price The families split the $14–$18/hour fee. Pros You can have most of the flexibility of a nanny while your child gets some social interaction. Kids in a nanny share tend to become built-in buddies. Cons You have to be in sync with the family you are sharing with on things like discipline and food, and it can get complicated with three parties involved. You also have to be okay with constantly exposing your home to another family and have a place for the other child to sleep, eat, etc. When to look Unless the two kids are the exact same age, you'll likely look when the first set of parents are ready to go back to work, and the other family will join in progress. An au pair is a live-in caregiver, typically from another country. The family provides room and board, and the au pair provides flexible child care for the family. Pros You provide a schedule to the au pair and she is required to watch your child for up 45 hours/week. Those hours can be used for anything from a workday to a Saturday date night and can change from week to week. Fees don't change even with more kids. Cons The au pair lives in your house, so she often will be present even when she has time off. There also may be a language barrier at times. 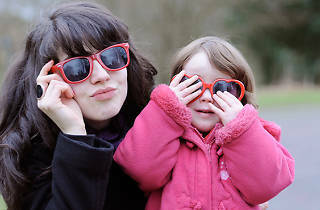 Where to look There are many agencies that can help place an au pair in your home. 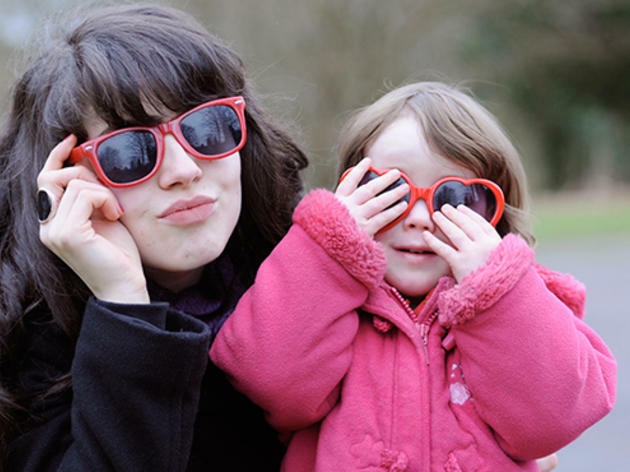 Cultural Care Au Pair is a very reputable one that serves the Chicago area. When to look It usually takes two to three months from the time you start your search to the time your au pair arrives at your home, so plan accordingly.